Nationwide defines itself on the same spirit of mutual cooperation and community building which sparked its birth. They have no shareholders, and argue that this brings unique benefits to their customers. Since members voted back in 2007 to use 1% of their pre-tax profits towards funding community projects, Nationwide are now encouraging local solutions to the national housing crisis (see website for more details). 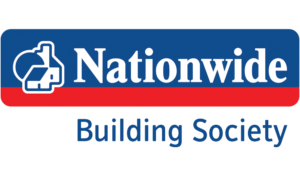 Ethical Consumer recommends Nationwide Building Society as part of their Personal Carbon Divestment campaign, since Nationwide invests in housing rather than fossil fuels. The ethos of the bank is summarized in Nationwide's annual report. Their customers choose annually which projects Nationwide contributes to. In 2018 alone they contributed significantly to 24 organisations helping the homeless, the elderly, and refugees all across the UK. They discuss these at length on their website. Nationwide is included in the UK Government run Current Account Switch service, with a guarantee of completion within 7 working days. Current accounts: Nationwide has a comprehensive and user-friendly guide of how to switch a current account to their building society. Click here for a summary of the popular current accounts that Nationwide offer. Savings accounts: Nationwide provide a breakdown of each of the types of savings accounts that they offer. Click on this link to view options.